What’s innovative about moss, and how can the flowerless plant help pull people out of poverty? You can read all about it in Beyond the Laboratory: Changing Lives through Hardware Technology Enterprises, a new publication which details five entrepreneurial success stories from Peru, where NESsT, in partnership with the Lemelson Foundation, has long supported technological products that generate sustainable income and employment. One of those stories involves sphagnum moss, which grows naturally in the Junín region of Peru, and is demand by orchid growers around the world. It’s good news from an organization that’s impacting lives with solutions that have a limited impact on the environment. Sohail Hasnie of the Asian Development Bank recently asked a great question: Electric vehicles can change the world if they’re adopted by those living at the base of the pyramid, so why are they being built and marketed almost exclusively for those at the top? He makes some great points about global health, climate change and business development. It’s worth a read. A New Kind of Annual Report? Aavishkaar, one of India’s biggest venture capital funds focused on social enterprise, released a somewhat bifurcated annual report for 2016. This year the fund decided to take a deeper look at long-term impact when it comes to investee companies and the portfolio’s impact on society since it was created in 2002. Aavishkaar has invested in 52 companies across India and three others in Southeast Asia. Those firms have gone on to raise $459 million in additional financing and created 35,000 jobs, by Aavishkaar’s accounting. But it also estimates that 48.5 million people gained access to education, financial services, health care, water and sanitation as a result of those investments. While we can’t validate or refute these metrics, Aavishkaar has taken a noteworthy approach to reporting the intertwining of financial and social benefit – one that we hope other funds will emulate. In case you missed it, renewables have overtaken coal as a worldwide energy source. 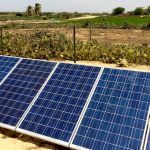 According to the World Bank, “A confluence of favorable market forces, including cheaper-than-ever prices and technology, have encouraged the take-up of solar by private investors and countries alike. Solar PV costs have dropped nearly 60 percent since 2010 and are as low as 6 to 8 cents per kilowatt hour today, according to (the International Renewable Energy Agency). They are projected to fall a further 60 percent in the next decade.” Solar’s such a good deal that half a million panels were installed every day around the world last year, according to the International Energy Agency. Billions in private financing is helping flip the switch to clean energy in developing countries, much of it through the World Bank’s Climate Change Action Plan. It all adds up to a cleaner planet, more empowered communities and lots of individual business opportunities. Those seeking market-based solutions to health care in rural India should read a six-month study that reveals how people there spend their money. According to Chrome Data Analytics and Media, which surveyed 50,000 villages in 19 states, the average household in rural India spends more money on alcohol and tobacco than on accessing preventive health care and medicine. There are reasons health care’s down the list, including the fact that there aren’t many health care centers in rural India; the typical resident has to travel 5 kilometers to find one. That means they end up using homemade cures, in large part. You know what sounds really cool? The plan to build a bullet train from Ahmedabad to Mumbai in India. You know what makes virtually no practical sense? A bullet train from Ahmedabad to Mumbai. As Aakar Patel points out in Firstpost, there are already more than 200 daily trains, about 10 daily flights and a six-lane expressway between the two cities, making it “possibly the best connected route in India.” Nevertheless, India Prime Minister Narendra Modi has been working with Japanese leader Shinzo Abe in recent days to finalize the finances to build an incredibly expensive bullet train for India’s elite. How expensive? The budget’s more than India’s entire education expenditure, three times the annual health expenditure … and impossible to justify to the million of Indians who will never be able to afford a ride. Saturday is World Toilet Day, so this is a fitting time to consider a story about a journalist conducting what should have been a run-of-the-mill interview in southeast India. Stella Paul, an award-winning reporter, was talking about toilets with several women when four men attacked them. The women are Dalit, or members of India’s lowest caste, known as “untouchables.” The theme of the story, not coincidentally, was how these women are coming out of slavery, even starting school and participating in the government’s anti-open defecation drive (more than half of India’s population still defecates in the open). The men felt the women weren’t worthy of their own toilets and, Paul added, they also wanted to steal some of the money the government set aside to buy those toilets. Somehow, it all added up to the men feeling free to attack the women for merely talking about toilets. NextBillion has detailed a variety of innovations in sanitation, but Paul’s story reminds us of the cultural issues that underlie many of India’s sanitation problems. Top image: By Janine via Flickr.